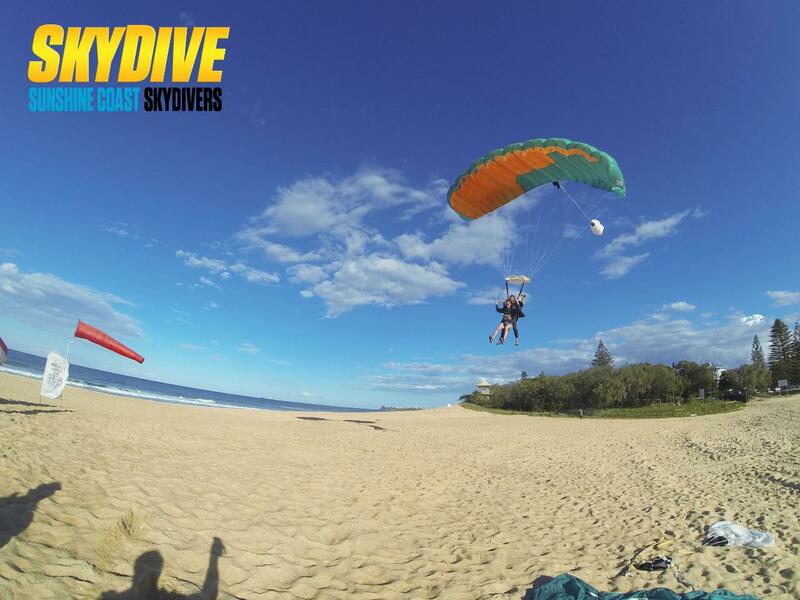 This product is if you are staying in Brisbane and needing free return transfers for your skydive. The ADRENALIN BLASTER 10,000ft jump gives you a 15-20 minute flight over the beautiful Sunshine Coast taking in views from Brisbane to Fraser Island, 35 seconds of serious adrenalin-blasting freefall, a serene 6-8 minute under-canopy ride floating down to your beach landing with a chance to take over the steering of your canopy (if you dare) AND your personal Certificate of achievement. 10,000ft Tandem Skydive with Beach landing. Adrenalin-pumping free fall ! Beach landing included on the beautiful Sunshine Coast in Caloundra - We have 4 perfect beaches to choose from.